It seems that animals and reptiles were much taller a few million years ago than today. So why people are still refuting that GIANTS have ever existed? Fossil hunters have found bones of a human-sized penguin – 1.77-metre-tall – encased in rock on Hampden beach in Otago in the country’s South Island situated just south of Christchurch, New Zealand. According to first investigations, the ancient penguin walked on earth 55m to 60m years ago, weighed about 100kg and had a body length of 1.77 metres (5ft 10in), equal to the average height of an American man. Emperor penguins, the tallest penguin species alive today, reach only 1.2 metres when fully grown. Researchers named the new species Kumimanu biceae, after the Maori words “kumi”, meaning a large mythological monster, and “manu” for bird. 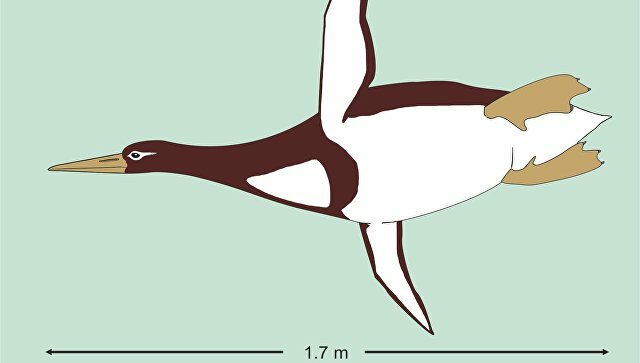 Fossil of giant penguin found in New Zealand. Some fossil hunters discovered a partial skeleton – wing, spine, breast and leg bones – of another giant species of pinguin in New Zealand. The discovery was made more than a decade ago. But due to the hardness of the rock in which the bones were found, it has taken until now for researchers to prepare and study the remains. According to paleontologists, the ancient pinguin was probably brownish, had a longer beak, was slimmer and not so cute looking than its modern-day cousins. The fossilised remains of giant penguins have been found from 20m to 50m years ago, but older examples are extremely rare. 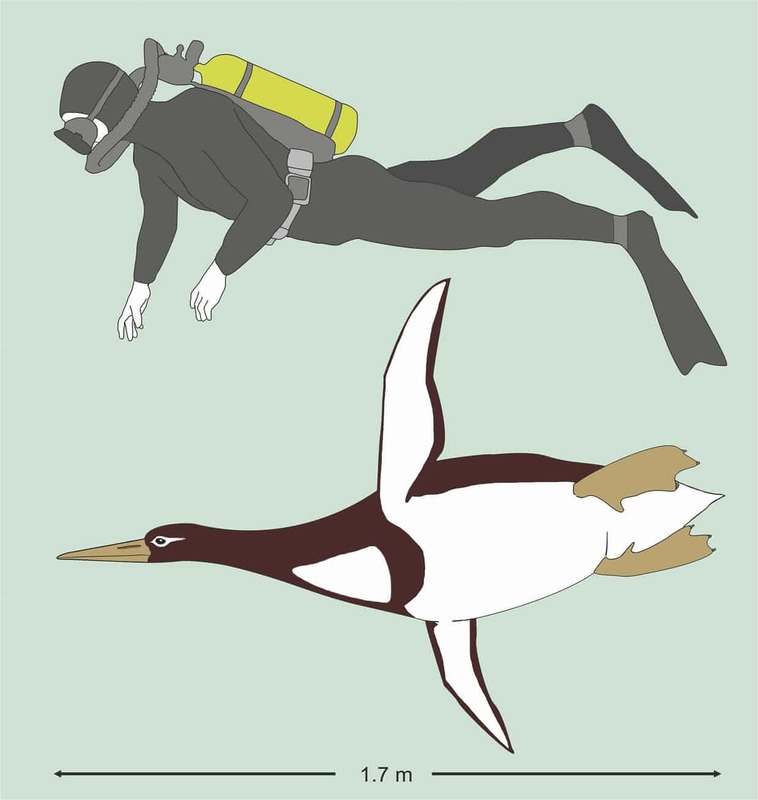 This new specimen suggests that some penguins became giants soon after penguins first evolved and switched from flight to diving. 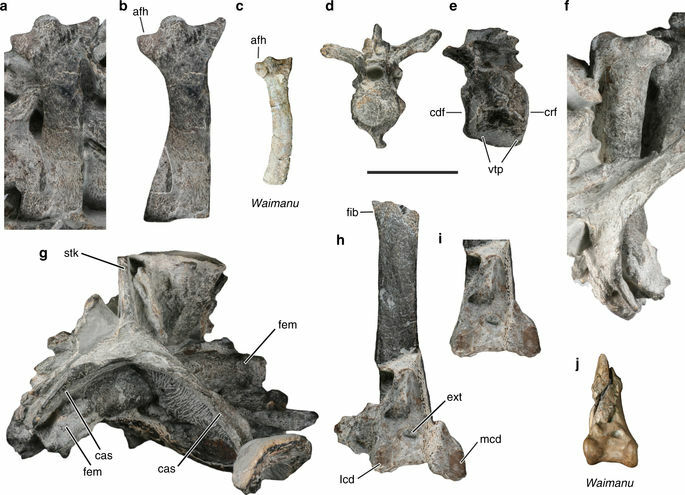 Another species of giant penguin, discovered in Antarctica in 2014, may have been even taller than Kumimanu biceae. 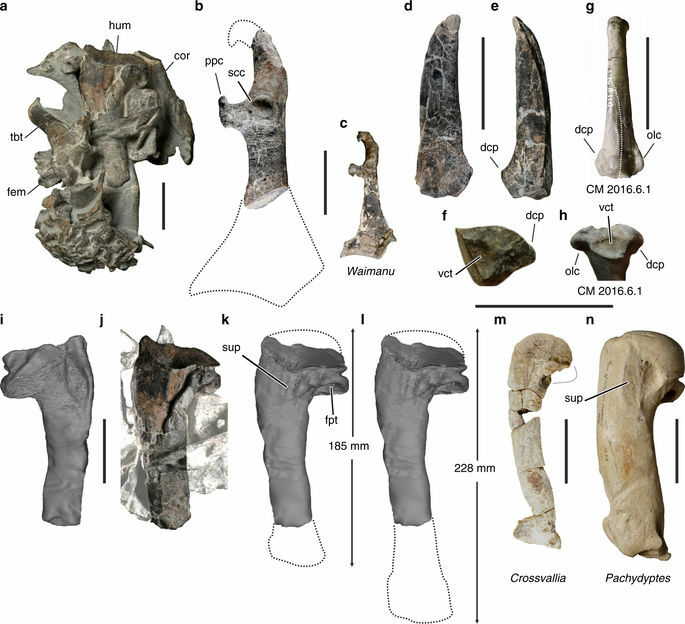 Bones from the 37m-year-old “colossus penguin”, or Palaeeudyptes klekowskii, suggest the animal stretched two metres from beak to foot and weighed 115kg. Giant penguins went extinct about 20m years ago ,when marine mammals arrived in the form of toothed whales, seals and other creatures. What spelled the end is unclear, but the big birds may have struggled to compete with marine mammals for food, or may have become the meal of choice for the new predators. It seems that animals and reptiles were much taller before than today. So there were probably also GIANTS walking the early Earth.